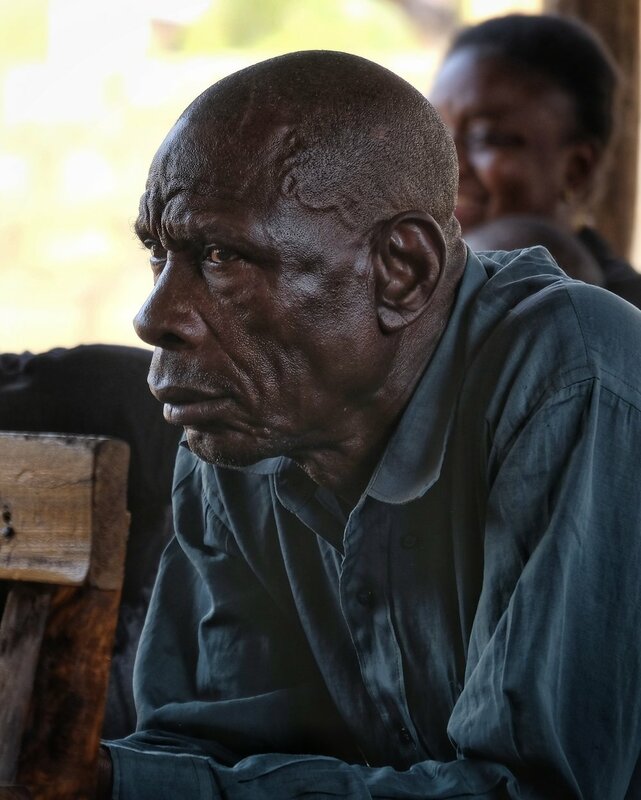 The Lozi are a musical people. For them, singing is just a part of life. So, every training session begins with music, can be interspersed with spontaneous singing, and ends with music. 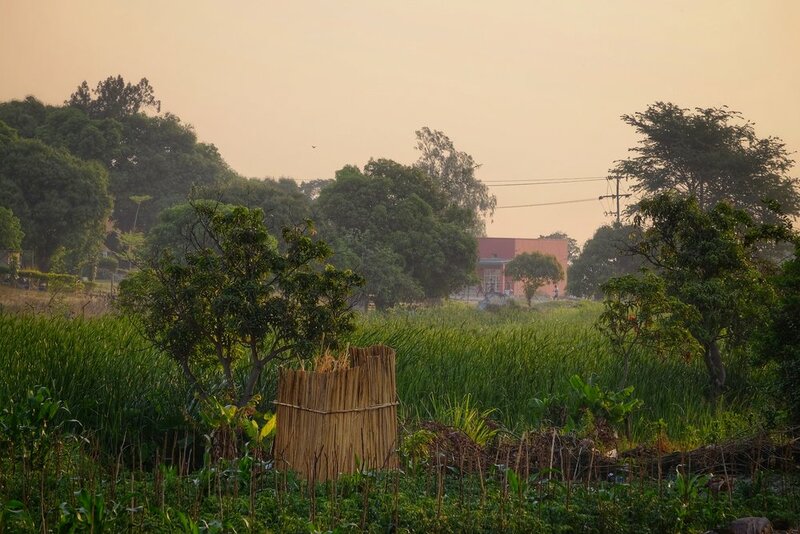 Western hymns sung in Lozi and Zambian praise songs are sung with equal gusto, and, much to our delight, are often accompanied by hand motions, dancing, and even acting out the words. Abby spent the week teaching on Our Identity in Christ, grounding us in the new reality Jesus brings into our lives, the new state of being which requires a renewing of our minds to grasp and live from. Her teaching was refreshing and encouraging, reminding us how much Jesus changes everything, especially how we see ourselves and others. I taught on The Importnce of Submission in Ministry, laying the groundwork for a relational, mutual, and voluntary view of submission that strengthens our Christian community, and permeates our families, churches, businesses, schools, and citizenship. I contrasted this with examples of bad submission which leads to servitude and unhealthy community. This was our third trip to Nangweshi, and this has engendered trust and an easiness between us. Consequently, our discussions were deep, intimate, revealing, at times troubling, but always encouraging. It was a transformative learning experience for all of us. Our students' ardent desire to apply the principles we taught to their specific struggles was remarkable. Personal and revealing stories were shared throughout the week, stories of betrayal and forgiveness, of conflict and struggle, of near death and escape, and even of thrones lost! Why do Abby, Percy and I get to do this?I don't know. But what kindness the Lord has shown us. What love he has demonstrated to us through our friendship, our students, and through your prayers and support! We are deeply grateful. We are humbled. And we are filled with joy. Yesterday (Saturday), we took a day off from formal instruction and instead gathered under a tree with a few of our students just to talk. And talk we did, about our families, hobbies, poisonous snakes (this is Africa, after all! ), and life. After a time, the talk turned to the future. "We are concerned about our community," they said. Yes, we have been given this good instruction, but what if we were to be transferred by our denomination?" What came next was quite a surprise, a very pleasant surprise, but a surprise nonetheless. 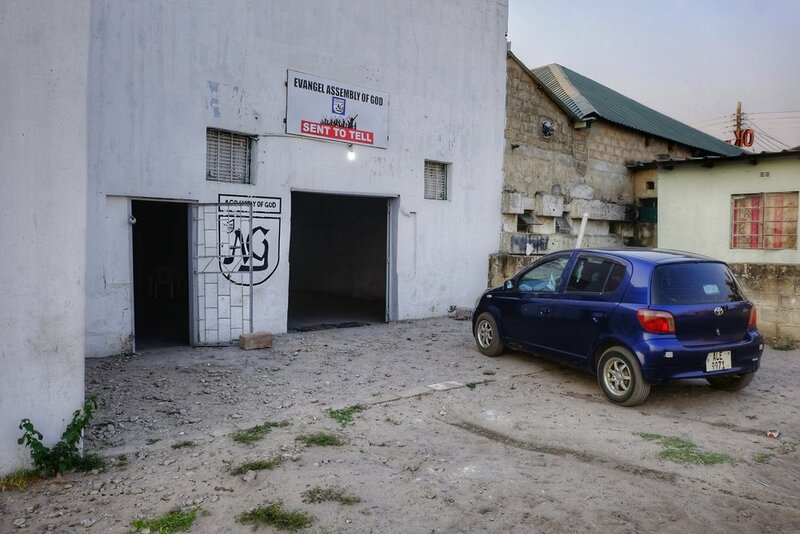 "We want to establish a training center for our entire area so that what you have taught us will be multiplied. Would you help us?" Just thought I'd share some photos from our recent trip to Zambia, Namibia and England. Enjoy! Sunsets were beautiful in Mongu, Zambia. 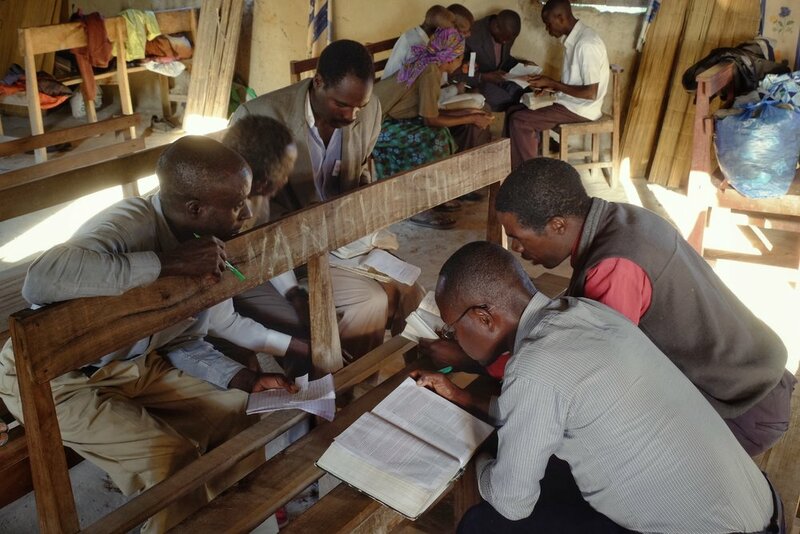 Evangel Assembly of God Church hosted our Phase 1 Youth Leader Training in Mongu, Zambia. 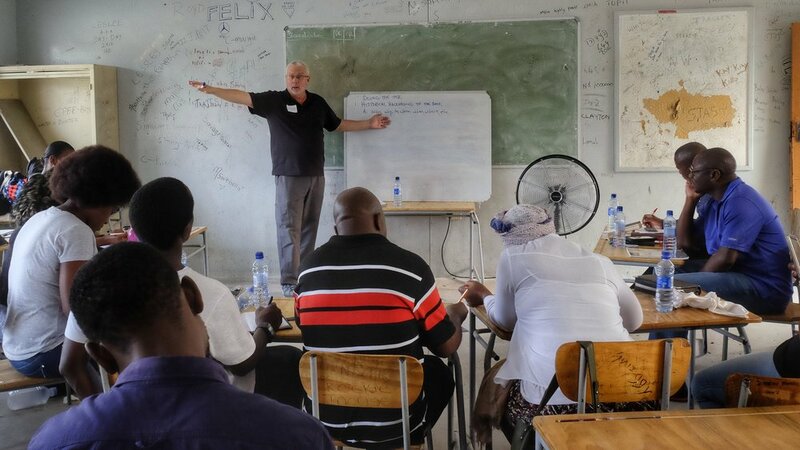 In Mongu, we averaged about twenty students at each session. This photo was taken as the students gathered on our first night of training. This was our view one afternoon from Evangel Assembly of God Church in Mongu. We enjoyed worshipping at the Vineyard Church in Mongu where Doug was privileged to preach and Percy taught. Five of these praise team leaders were in our class! This young woman gave a stirring testimony to God's faithfulness during worship at the Vineyard Church. She had just been accepted into nursing school after many attempts over several years. Her song of praise was beautiful! These joyful kids were playing outside during worship! Pastor Yuyi Mundia of the Mongu Vineyard Church has a deep passion for youth. He was one of our students and is our liaison in Mongu. This gentleman was listening intently to Percy's training on Biblical worship. We ended our Mongu training with a worship celebration for all the youth whose leaders we had trained. Abby preached and it was awesome! 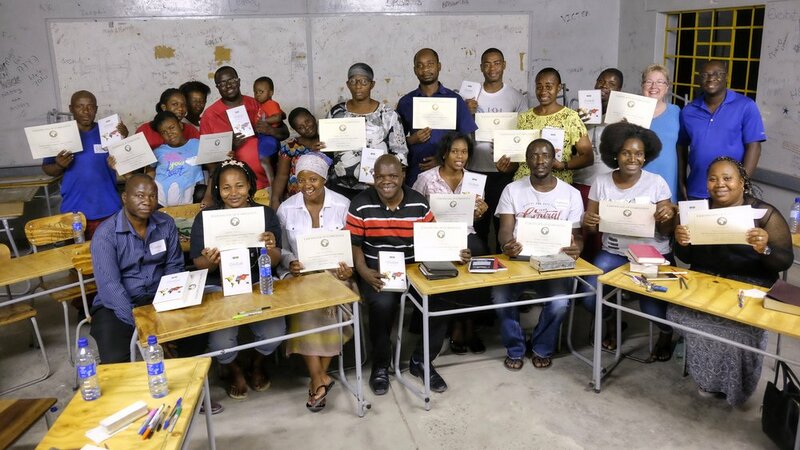 Our Mongu students proudly display their Phase 1 certificates! From Mongu, we traveled south to Katima Mulilo, Namibia. Our host church was Believers Fellowship, led by Pastor Yumba and his assistant, Pastor Alec. We loved worshipping with them, and Doug was privileged to preach there twice. 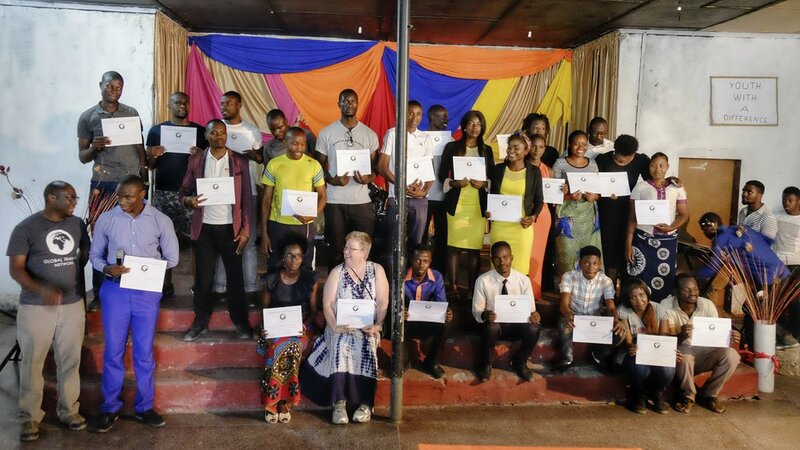 Our students were from three churches and four countries, Namibia, Zambia, Zimbabwe and Nigeria. We met in secondary school classrooms. Pastor Yumba teaches Physics and Chemistry there. What a privilege and joy it was to teach such highly motivated and committed students! We had a blackboard (or whiteboard) for every session in Namibia which was a treat. Our Namibia class joyfully display their Phase 1 certificates! 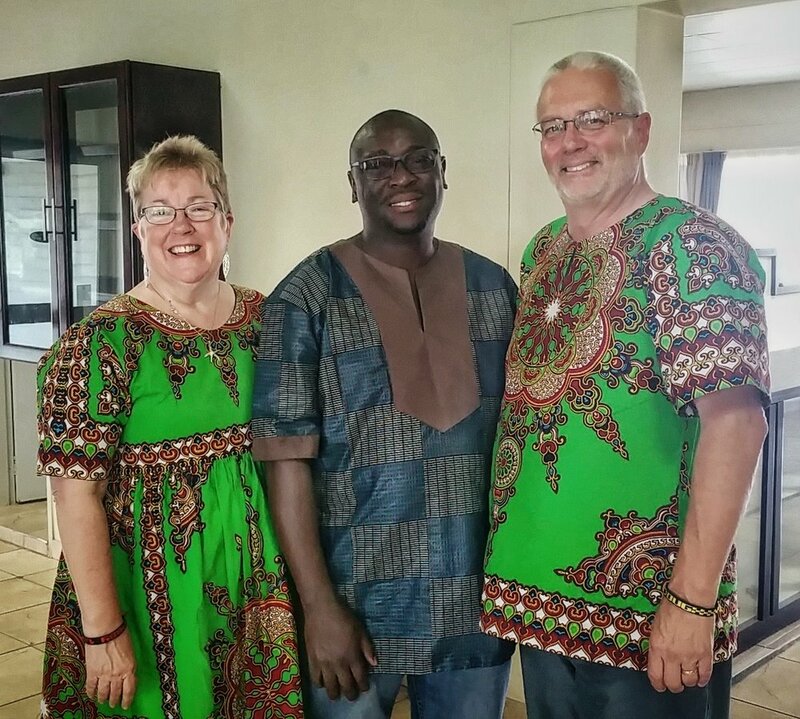 Our Namibia class gifted us with these awesome outfits as a show of their appreciation. They were created by on of our students, a tailor named Royd. Cheri Contes and her children, Hannah and Evan, invited us to stop over in wolverhampton, England on our way home. They are fellow missionaries and friends of ours from our home church, Lake Forest. Standing with us is Cheri’s friend, Maame, from Ghana, and a neighborhood friend of Evan’s. It was our joy to worship with Windmill Church in Wolverhampton, England. We were warmly welcomed and Doug was proivileged to preach there on Sunday morning!